Have you taken the kids to see Frozen? sequence that is now available. You have to check this out because it is so amazing! 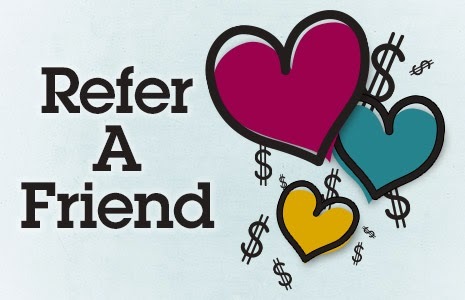 Aio Wireless is spreading the love this Valentine's with their NEW Refer-A-Friend Program, awarding customers with up to $250 in credits! With this rewards program everyone comes out a winner! · Submit email addresses for friends or family members who you think would love Aio. · Aio will send them an email with a referral code they can use after they activate new service. · Once Referee redeems Referral Code and both stay active for 60 days, you are both eligible for a $25 Referral Reward. 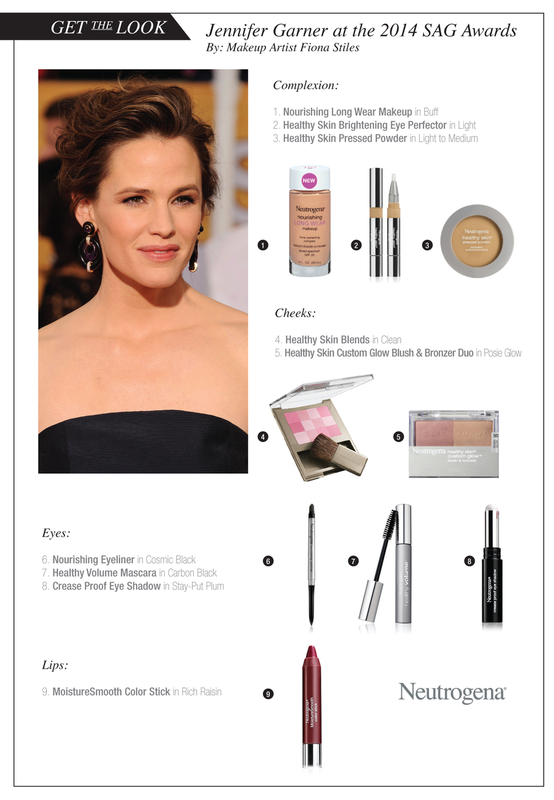 Did you watch the Grammy Awards® last night? I did. Did you catch the MALEFICENT 90-second sneak peak? I can't wait to see this movie. We are fairy tale movie buffs. Lana Del Rey’s “Once Upon a Dream” is free for a limited time, only on Google Play, Google’s online store offering digital music, movies, books, games and more. The song was made available as a free download today and will be available exclusively on Google Play through Monday, February 3rd [http://smarturl.it/ldrgps1]. “Maleficent” explores the untold story of Disney’s most iconic villain from the classic “Sleeping Beauty" and the elements of her betrayal that ultimately turn her pure heart to stone. Driven by revenge and a fierce desire to protect the moors over which she presides, Maleficent cruelly places an irrevocable curse upon the human king’s newborn infant Aurora. As the child grows, Aurora is caught in the middle of the seething conflict between the forest kingdom she has grown to love and the human kingdom that holds her legacy. Maleficent realizes that Aurora may hold the key to peace in the land and is forced to take drastic actions that will change both worlds forever. Facebook.com/DisneyMaleficent and use the official hashtag #Maleficent. Has this Artic Freeze got your skin super dry? LUBRIDERM® products provide the essential moisture your body needs during these drastic temperature drops! The products below hydrate the skin during the cooler months for beautifully-moisturized skin you can feel comfortable in. The LUBRIDERM® Daily Moisture line includes four daily moisturizers designed to hydrate normal to dry skin. These fast-absorbing, non-greasy formulas are specially formulated with nutrients to achieve comfortable, healthier-looking skin. • LUBRIDERM® Daily Moisture Lotion: Specially formulated, this lotion contains vitamin B5 and other skin essential moisturizers naturally found in healthy skin to improve the moisture barrier for visibly healthier skin. The lightweight formula helps relieve dry skin and prevents dryness from reoccurring throughout the day, leaving skin feeling soft and smooth. • LUBRIDERM® Daily Moisture Lotion Fragrance Free: An unscented version of the Daily Moisture Lotion, this formula provides optimal hydration while reducing the risk of skin irritation. • LUBRIDERM® Daily Moisture with SPF 15 Lotion: A powerful two-in-one moisturizer and sunscreen that hydrates skin with essential moisturizing ingredients, while providing broad spectrum UVA and UVB protection with an SPF 15. This clean non-greasy lotion is perfect for everyday use to achieve smoother, healthier-looking skin. • LUBRIDERM® Daily Moisture Lotion for Sensitive Skin: Specially formulated for sensitive skin. This gentle moisturizer is 100% fragrance-free, dye-free and lanolin-free, which helps to protect dry, sensitive skin. The non-irritating formula creates a protective moisture barrier on the skin’s surface, leaving skin smooth, comfortable and protected. La pandilla de los Muppets, Terry Crews, y Toyota Highlander 2014 celebran el próximo lanzamiento y el estreno de la nueva aventura de los Muppets en la pantalla grande, “Muppets Most Wanted”, que se verá en los cines a partir del 21 de marzo del 2014. El corto de 60 segundos, titulado “Joyride” se emitirá por primera vez durante el Juego XLVIII el domingo 2 de febrero. El corto presenta graciosas bromas, bailes y sorpresas, y como buena aventura de los Muppets no podía faltar una canción original. Prepárense para reírse en el día del partido. Además del comercial, la pandilla de los Muppets dará actualizaciones en tiempo real mientras viaja hacia el gran partido en su Toyota Highlander el 2 de febrero. Los fans y los clientes estan invitados a chatear en vivo con los Muppets el día del partido a través de Tweeter @Toyota o de #NoRoomForBoring. ***Disclosure-Sample product was received. All opinions stated are based on my own. Snow day, Snow Day!! Wooohoooo....Winter Actic Blast. The kids have no school and you are the lucky one at home with them what do you do? My little one was at home today with big brother and dad. They watched The Adventures of Chuck & Friends: Trucks Versus Wild on DVD. The unbelievably fun adventures of Chuck, the little dump truck with big dreams, and his friends—Digger, Handy, Rowdy, Biggs, Boomer and Flip — continue with the release of The Adventures of Chuck & Friends: Trucks Versus Wild on DVD from Shout! Factory Kids. 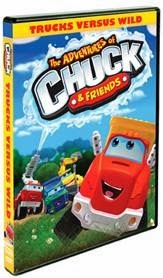 Featuring 10 more exciting episodes from The Adventures Of Chuck & Friends, watch as Chuck and the gang have adventures with a helpful mechanic, a camping trip, a star-studded trip to the beach and more in these awesome cartoons guaranteed to put fun into high gear! We love sing-alongs. This dvd includes a brand new sing-along. Whether a snow day, sick day, weekend, or just plain old movie time, you can pop this in for the kiddos to enjoy all 10 episodes. Ayer lleve a la nena al doctor, y me dijo el doctor que necesita cuidar la piel reseca que tiene la nina ahorita por el clima tan frio que estamos pasando ahorita-Artic Freeze. Quero compartir consejos de como ustedes pueden usar el aceite y los talcos de JOHNSON’S® Baby para uso personal. Estos productos son perfectos para usar en esta temporada de frío, especialmente el aceite ya que puede ayudar contra la piel seca. Proteje tu piel de tu familia. Durante estos meses de invierno las bajas temperaturas dejan tu piel reseca. Sigue una rutina para el cuidado de la piel este invierno con la ayuda de JOHNSON’S® Baby. 1. Aplica el aceite JOHNSON'S ® Baby después de salir de la ducha. La combinación del agua con aceite ayuda a mantener la piel hidratada durante todo el día. 3. Aplica una buena cantidad de aceite JOHNSON’S® Baby en tus pies y rápidamente ponte medias. A la mañana siguiente, los pies no sólo se sentirán muy bien (no grasosos), sino también se verán como si te acabaras de hacer la pedicura. 4. Después de aplicar tu maquillaje, aplica el talco JOHNSON’S® Baby a tu cara para que tu maquillaje dure durante todo el día. 5. Espolvorear el talco JOHNSON’S® Baby en tus manos y masajear suavemente el cuero cabelludo para absorber el aceite. 6. Aplica el talco JOHNSON’S® Baby a los pies o a las axilas para absorber la humedad. Don’t let the low temperatures of these cold months leave your skin dry. Give your skin care routine a boost this season with JOHNSON’S® Baby. 1. 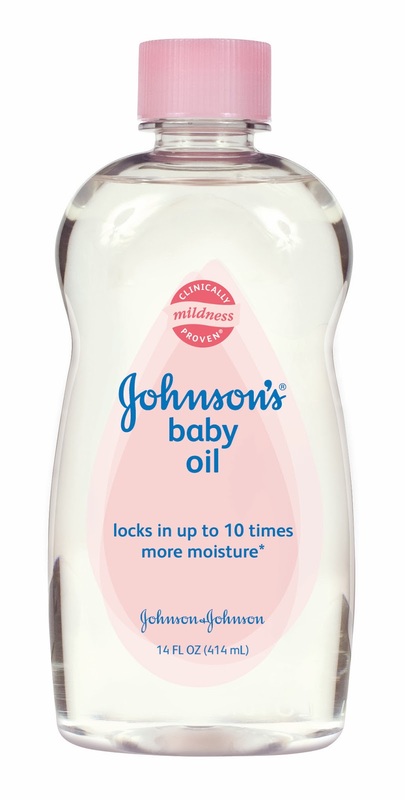 Apply JOHNSON’S® Baby Oil immediately after stepping out of the shower, while your skin is still wet. The combination of oil and water will helps keep your skin moisturized throughout the day. 3. Apply a good amount of JOHNSON’S® Baby Oil on your feet and quickly put on socks. The next morning, your feet will not only feel great, but they will look like you just got a pedicure! 4. After applying makeup, dust your face with JOHNSON’S® Baby Powder to allow your makeup to last the entire day. 5. Sprinkle JOHNSON’S® Baby Powder on your hands and gently massage your scalp to soak up oil. 6. Apply JOHNSON’S® Baby Powder to feet or underarms to absorb moisture. It was a great idea at 11 p.m. at nite.....my decision to participate in this year's Aramco Houston Half Marathon. 13.1 miles on Houston streets. Like I told you Monday it has been a hectic end to 2013, and I was not planning on running the half. I did not sign up with the rest of my friends. I was going to be a spectator. But the opportunity was there for me to be able to join my friends and well the running bug got me. I have ran a half marathon before, remember my 1st was the Hippity Roc. 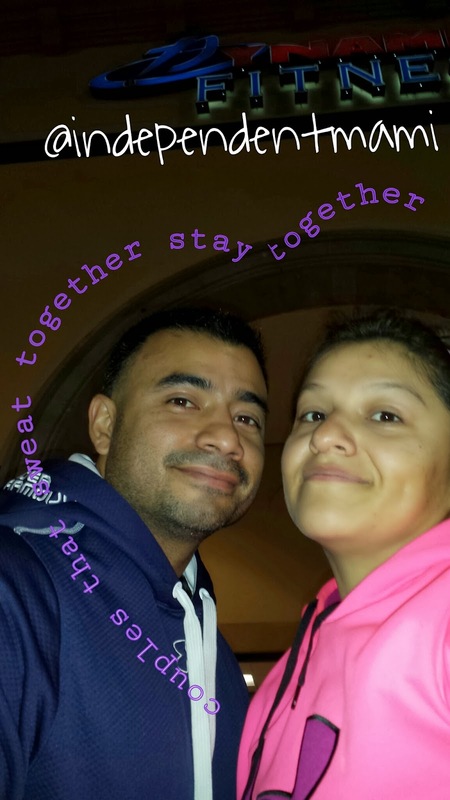 Last year I had to run the Aramco Houston Half Marathon 2013 for my husband since he hurt his leg. This year I got the opportunity to run for a friend in the Aramco Houston Half Marathon 2014. But I had not trained, ran or thought about anything other than cheering on the sidelines at this run. But because of a personal situation/decision I decided to do it. Supporting my friends is always top on my book. And since I had completed 2 others, I figured it could be done. I did not know what I was getting myself into. We also had another friend who was doing the half for the first time. The 3 of us decided to do the half together. 2 veterans and a newbie. We helped each other all along the race. We stopped at the gatorade and water stations. We took breaks along the way. We ran/jogged and walk in intervals. In the end we gave it all we had, and we crossed the finish line. I got blisters on mile 4. My knees started killing me mile 8. By mile 12-13, I wanted it to be over so I stayed steady at my pace telling the girls I was the pacer. They passed me up, caught up, we kept moving forward. Each of us battled our own bodies. We did it! Afterwards we stretched, regained our composure, and waited for our friend to cross the Marathon 26.2 Mile Finish Line. Each one of those miles was worth being able to wait for my best friend at the finish line. She is a #girlonfire !!! She finished the marathon in 4 hrs 28 mins. How awesome! We are so happy for her and her accomplishment. And of course, my accomplishment! After the race we all were pretty pooped. I could bearly walk with all my blisters on both feet. I soak and laid on the couch for the rest of the day. But my husband and I started talking about the half marathon, we realized that I have never ran the Aramco half marathons for myself. Both times I did them tagged in for someone else. My husband's favorite line to me is always, "Imagine if you would have trained?" And that line stuck out to both of us. Imagine if I did. I know I can cross the finish line because I have, 3 times. But imagine if I actually trained for the next one, what would my time be? My 1st half marathon I really didn't know what I was doing, did not really train for that long of distance, and I set a PR for myself to beat next time around. I am not ready to conquer the full marathon, but I will be working on my Half Marathon! Wish me luck! How about you? Have you challenged yourself? Do not knock it until you have tried it...trust me, best feeling ever. So what is stopping you? Baby steps, start with a walk. So what 5K walk/fun run is in your area? I am so excited. But what does that mean exactly, right? environment. You will see my TDFA posts on my blog, FB, twitter, instagram, and etc...follow along. Also on Wednesdays, we wear pink! I did not understand where #PinkWednesday came from, but now I do. I am so happy to have been selected for this ambassador program. You know I have changed my lifestyle and have been providing resources for you from my experiences. I have tried it all; yoga, Bikram yoga, Zumba, Crossfit, bootcamp after bootcamp, and of course the good old gym. I have said no to the gym and tried videos, walking, jogging, and running. Cycling became my passion. To me my new lifestyle encourages fitness wherever I go, no matter what it is called, and that to me is what Train Dirty Fitness means to me. 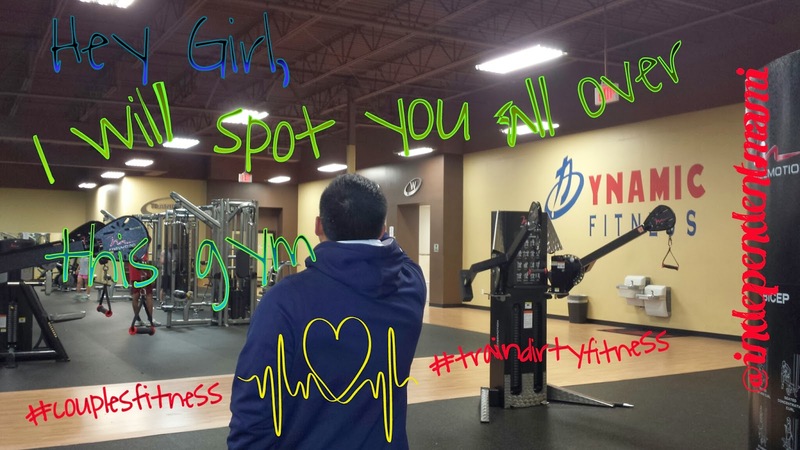 Just this week my husband surprised me by getting a gym membership at my gym. He has a membership at his gym that he has had for years now, that he loves, and is an awesome price. A new membership for me was going to be so costly that I could not justify moving gyms but he surprised me by joining mine. I told you this year is my Resolve ReNew ReInvent Year! Things are changing in my life, my family, my friends, and in my world. What are you doing? Do you think you have what it takes to be a Train Dirty Fitness Ambassador whose passion is health and fitness? Well guess what, you can apply, just like I did. Applications will close on January 31st www.tdfambassador.com. ***CLOSED***Giveaway-Neutrogena Night Out at the "W"
***Disclosure-No compensation was received for this post. Informational post only. Sponsor is handling fulfillment of prize. favorite hot spots and even get a makeover from a leading artist! and you'll receive a code at checkout with instructions on how to enter. with some of the products featured at the event. 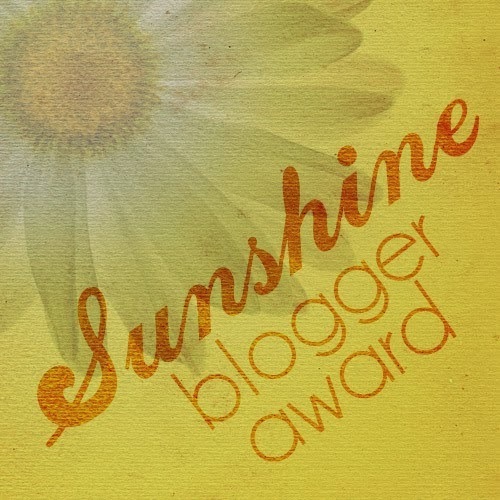 Thanks to Jessica from The Reinvention of Jessica for nominating my blog for the Sunshine Blogger Award. 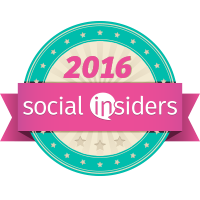 Answer 11 questions the nominating blogger created for you. How did you get your start blogging? After meeting the Walmart 11 Moms who blogged, was inspired to start my own. What's your favorite mythical creature? Flying fire breathing dragon that can protect the princess, rescue her, and take her away if needed. What's your favorite childhood memory? I don't have a specific one but all I know is I hear music, certain songs and it takes me back to laughter, ans get-2-gethers. Your go-to comfort food is ________? I heart chocolate and ice cream. You just won the lottery! What's the first thing you do? I'm OCD so I would check my ticket over and over again. Would you rather go back in time and meet your ancestors or go into the future and meet your great-great grandkids? I have always wanted to know where I come from. My mom immigrated here and we do not have pictures. We do not have family here. Our family tree has many blanks. What are you a geek about? Nothing. I think I just know enough to get me by. Math and numbers just come easy to me but not Geeky about it all. Do you trust your instincts? No...I have gut feelings that have gut feelings that have doubt. You have a paid day off from work. What do you do? Clean my house...yes, OCD. What's the craziest thing you've ever done? Ran a Half Marathon without training? Jumped into freezing water in 26 degree weather? Opened up a blog and shared my life with the world? What's the most inspiring thing someone has said to you? It is in your destiny that you will become Greatness or something like that. 1. Who is the person behind the blog? 2. 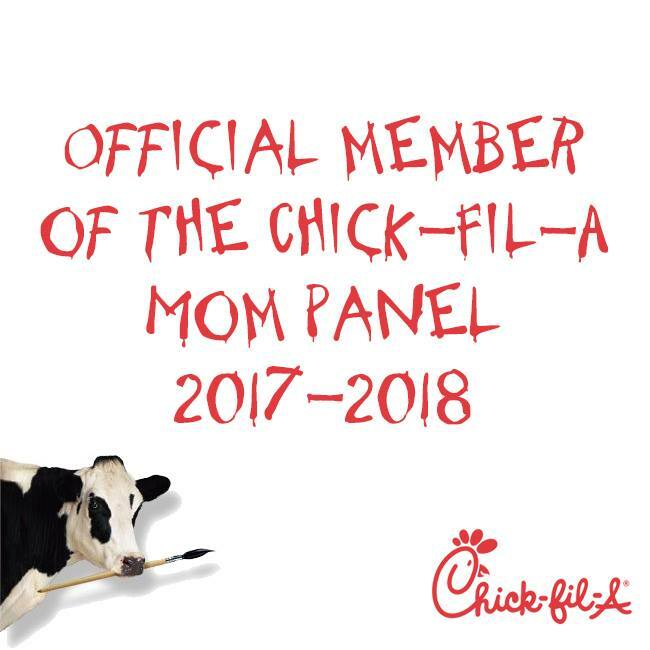 Favorite Social Media Panel? FB, twitter, blog, instagram?? 3. First TASK you take care of in the morning? 4. If you had to choose when inspired to write, do you jot down notes for your posts or hurry up and start blogging? 5. What is the biggest No-No you have learned about blogging? 7. Do you get gadet crazy or jealous? 11. Have you rebranded/changed/redesigned? Any advice? ***Disclosure-Sample product was received to review. All opinions stated are based on my own personal experience. It is a new year. If you are like me, you are trying to be a healthier you this year. But being healthy does not mean you have to give up on things you like, you just have to make better choices. Halloween, Thanksgiving, Christmas and New Years all just past. It does not seem that long ago. What do each of these have in common? To us, it is a gathering of family and friends are having a good time. We started having house parties the year I moved into my new house. Friends started introducing us to their favorite cocktails and drinks of their choice. I like trying new cocktails, especially ones that I do not have to feel guilty about. Full-flavored, sorbet-inspired vodka with natural fruit flavor, containing juicy, ripe pineapple and creamy toasted coconut notes. It offers sophisticated fun with only 78 calories per 1.5 fl. oz. SMIRNOFF announced the latest addition to the Sorbet Light line, which hit shelves in mid-January: Pineapple Coconut, a reduced-calorie vodka specialty that is a guilt-free treat, requiring no sacrifice! Delivering the same satisfying taste of real scoops of icy sorbet, SMIRNOFF Sorbet Light Pineapple Coconut is infused with the all-natural flavorings of fresh juicy pineapple combined with the luscious, sweet taste of coconut. Fill a rocks glass with ice, add remaining ingredients, stir and garnish. We were celebrating after completing our half marathon and our friend's victory completing the full marathon with these fun drinks. We did not even feel guilty. Creating guilt-free and delicious cocktails, SMIRNOFF Sorbet Light Pineapple Coconut is only 78 calories per 1.5 oz. serving, allowing you to enjoy an incredibly delicious mix without all of the extra calories. With the above SMIRNOFF Sorbet Light Pineapple Coconut cocktail recipes, staying on track of New Year’s Resolutions will be that much easier - all of the recipes are under 150 calories and deliver a delightful light and airy taste. Try the recipes above, and do not feel guilty about enjoying them. The Pina-Coco Spritzer is my favorite. Starting a New Year seems like it would be a restart, like everything from before could just go away but in reality it can't it is part of us. The past will be there but we can choose to move forward. The end of 2013 was a very difficult year for me. I thought 2011 was hard but I never realized that 2013 would leave me so lost. I have no idea what triggered it or how it all started unraveling but as soon as it did, it never stopped. Deceit, Divorce, and Death all hit at once. Even when I thought my world was ending, I was a part of others whose world's were ending as well. If you noticed I kinda shut down on my blog as I had nothing to say, I was so lost. Confusion can really make a person crazy. I know the saying the grass isn't always greener on the other side, but I felt my grass was greener and I was so thankful. I don't covet what my neighbor has or what I don't have. I feel so blessed with what I do have that it is the best in my world. But when your world comes tumbling down you realize how blind you have been to all around you. You do not know how many times I have broken down. I was told I seem to be helpful to everyone and have all the answers they all need, but what about me? Who was going to help me? Who was going to give me the answers I needed? Me and my inner voice have had many talks over the years but not like these. I shut down. I broke down. I again never thought I would be this broken. The last time I was broken like this was when I became a single mother almost 15 years ago. I lived and I learned. I picked myself up, little by little the pieces were fixed, and my world was bright and shiny all over again. I see why some just walk out on life, check out, and just leave it all behind. I was in this dark place and nothing could take me out. Or so I thought. -I realized I do not have to let things that I cannot control, take control of my life. -I realize I cannot change people. -I am in control of my decision. -My family needs me and depends on me. And I was not ready to give up! In the New Year I have decided January 1 does not define me, nor does December 31. I do not have to live with this deadline hovering over me. But on January 1, I did start to resolve, renew, and reinvent my world. I have started making changes that I am making myself accountable for on a daily basis. Last year my 2013 resolution was for improvement. I felt I did improve. I had to remind myself of this several times during the year. Last year's resolution to improve is helping me with this year. So to start the year right, I created a 2014 resolution list. This list exist of things we like to do as a family, there is no me without them. They are my life, and life is worth living for them, for me, and for us. This list is to serve as a guideline for us, not to restrict on many more things we may add as we go along the way. 1) Family Time-Snuggling and cuddling on the couch at least 14 times a week. I want my family to know how much I love them. 2) Dinner Time-We will sit and enjoy dinner together everyday if possible. Communication starts when we are all in one place. 3) Cook-We will learn how to make 14 new dishes. My son and husband had the first task of making pizza for us and it was yummy! I realized at the end of the year I did not know how to make any traditional dishes from my country and that is so sad. I want my kids to be able to pass down our heritage but I can't even teach them if I do not know myself. 4) Parks-There are over 82 parks in the Houston area. I want to visit 14 that we have never been to. Picnic, walking, jogging, running, or whatever other outdoors activity comes to mind that day. 5) Riding-We will ride our bikes together in 14 different bike trails including Terry Hershey Park, and George Bush Park. I have heard how great these parks are and we have never been. 6) Projects-I have several random projects I have been putting off from last year or years before. No more putting things off. We will get involved as a family and take care of them one by one. Organizing my garage has been top off my list. I started but did not finish. January has already started and we have been implementing this list. I am having great results. You know the saying if it ain't broke, don't fix it, well look at yourself, your life, your family, and your world. Is it the same ole, same ole? We get so use to the run around of life that we forget to stop. That is what the new year is about, it is a time for us to remember, reflect, and restart. It is not giving us a deadline or timeline. But life isn't promised from today to tomorrow, so enjoy it, live it, and have no regrets! Oh and I am not leaving you, my readers, out of my resolution list because even though I will be focusing on me, my family, and my world-Blogging is a part of my world. I am also hoping on revamping my blog it is so 2000Late. What has 2014 brought you? As a Britax Latina Blogger/Advisory Board Member (and in partnership with Mami Innovative Media), this post is part of a sponsored outreach. All opinions expressed are my own. Dive into the New Year with the Octonauts! Littlest Pet Shop: Lights, Camera, Fashion!